To support its development strategy, Finance Active acquires Riskedge and strengthens its financial risk management expertise in the corporate and public sectors. The Finance Active Group has now 150 employees and a turnover of €20M. With Riskedge, Finance Active launches its acquisition strategy in keeping with the Good Vibrations business plan, which provides for a growth strategy aiming at doubling the turnover from €17,1M to €35M by 2018 through a combination of internal and external growth. Headquartered in Lyon, Riskedge will develop the financial consulting and engineer-ing services of the Group. 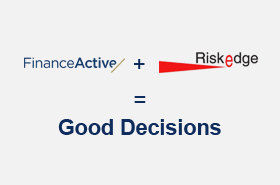 By joining Finance Active, Riskedge will make the most of synergies across risk management business lines – rate, foreign exchange, raw materials, credit – while benefitting from the large customer base of Finance Active (over 2000 clients throughout Europe). By the end of 2016, all the activities relating to financial investment advice (FIA) will be car-ried out by Riskedge. “Thanks to this merger, we will be able to develop our specialized consulting services while benefitting from the large customer base of Finance Active. Finance Active’s technology solutions will be a valuable asset that will allow us to be even more efficient”, said Jean-Nicolas Hutin, CEO and Co-founder of Riskedge. “With Riskedge we will be able to strengthen our expertise and to rely on a specific organization dedicated to our high-added-value consulting activities”, added Patrice Chatard, CEO and Co-founder of Finance Active. A Fintech company founded in 2000, Finance Active develops high-quality solutions to optimize debt and financial risk management: foreign exchange, investments, financial forecasting and guarantees. With over 10,000 users worldwide, Finance Active paves the way for digital transformation in financial departments of companies, local public authorities and financial institutions. Permanently connected to financial markets, Finance Active’s solu-tions provide a dynamic and centralized view that simplifies transaction management. Our innovative, user-focused approach allows us to develop agile and collaborative software to optimize financial performance. Our mission: providing financial teams with high-quality data and advice in order to allow them more room for manoeuvre in operational and financial decision-making.